Plan and build city pipelines under the pressure of time. Pick falling pipes, rotate and build a pipeline connecting all the consumers. Nice graphics, smooth gameplay. 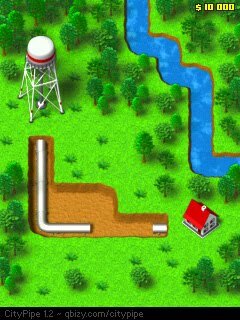 40 hand-made levels await you! NOTE: This game doesn't require installation - simply copy the executable to your Pocket PC.